This study was designed to examine the effects of brief naps taken after lunch on alertness, performance, and autonomic balance. Three groups each comprising ten healthy subjects, who had slept normally at home the previous night, were randomly assigned to groups taking one of three lengths of nap (0, 15, and 45 min) after lunch. 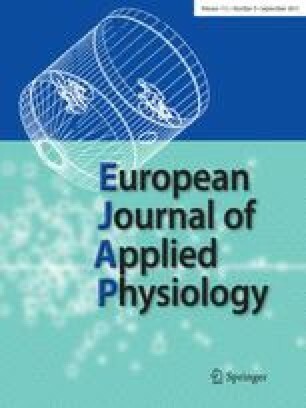 The P300, an event-related potential which is a neurophysiological correlate of cognitive function, subjective sleepiness (visual analogue scale), and electrocardiogram were measured before, 30 min after, and 3 h after the naps. Each measurement was followed by an English transcription task lasting 90 min. The P300 latency was significantly shorter after the 15-min than after the 45-min nap, or after no nap had been taken, while its amplitude was not affected by the length of nap. Subjective sleepiness was lower after both naps than after no nap. The task performance was significantly better during the second half of the last task session after the 15-min nap than after no nap. The high-frequency component of the R-R interval spectrum increased significantly during the 45-min nap, showing a temporary shift to a predominance of the parasympathetic nervous system. Mean total sleep times during the 15- and 45-min naps were 7.3 and 30.1 min, respectively. These results would indicate that the 15-min nap may serve to shorten the stimulus evaluation time, reducing subjective sleepiness, and slightly improving task performance. Our data demonstrated that in our subjects a brief nap after lunch was effective for enhancing subsequent alertness and performance after normal sleep the previous night.